Will this be the year for a ‘big move’ or will you be better off staying put and improving your current home? In today’s uncertain economic environment many of us are choosing to sit tight and see what happens, but if storage and lifestyle are two reasons why you want to move, you may want to re-think the layout of your home opting for open plan living. Open plan living has now become part of our everyday lives, allowing us to have more shared moments with family and friends. 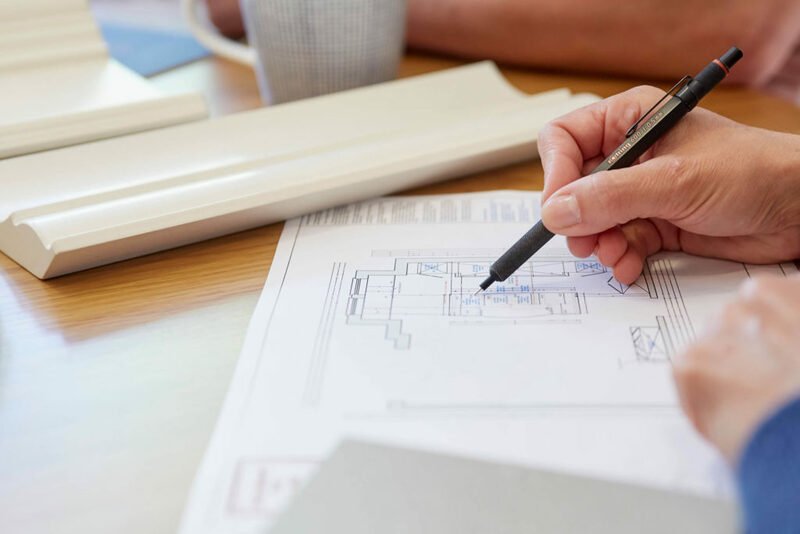 You may decide to open up your kitchen, lounge and dining room; if this is the case, then you need to have a good understanding of how you are going to use the space. Keep in mind not everyone wants to be in the same room all the time, create a layout that has smaller quiet zones or tucked away areas to sit and work. It means everyone can be together while they use the room to do their own thing. 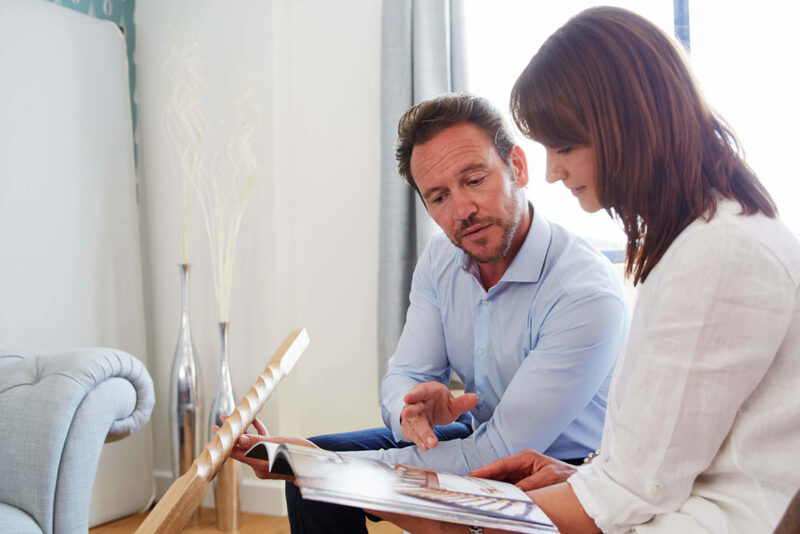 So, before you raise the ‘For Sale’ sign on a home you love, why not see if you can maximise the space you have – and potentially add thousands to its value. Whether that’s converting your loft, expanding your lounge or making use of those tricky box rooms. 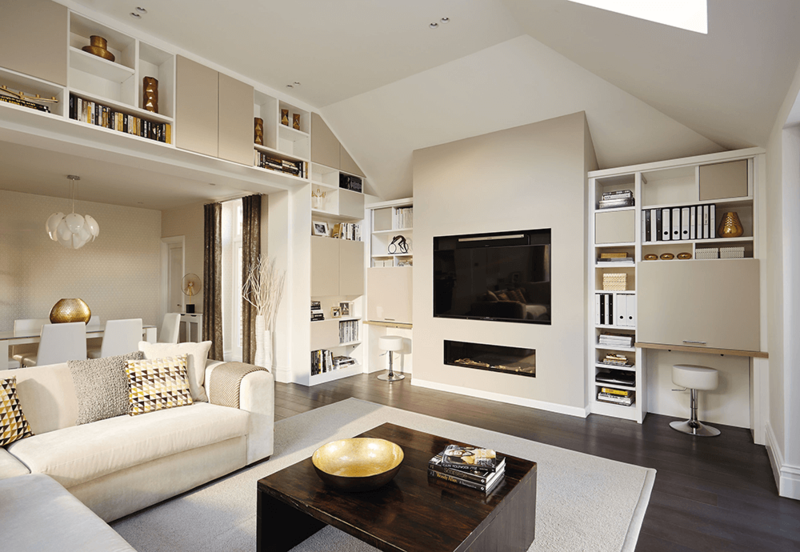 Your loft could be transformed into whatever you want it to be; a cinema room, a home study/ snug or a luxurious master bedroom complete with en-suite and even a dressing room. Things to consider include skylights, structural reinforcements, a staircase, lighting, heating and fire safety. If your loft has awkward architectural features such as sloping ceilings and wooden beams bespoke fitted furniture can be hand-built in-situ to meet your exact requirements ensuring no space is wasted. Creating floor-to-ceiling storage maximises your room’s potential, giving it instant style and purpose. Your builder or local council will be able to advise you on the permissions needed before work begins. Do you have a bedroom that’s just a little too small? These spaces can be transformed into stunning walk in wardrobes that will free up cluttered corners in your bedroom. Design a luxurious dressing area with mirrors, dedicated wardrobe space and glass fronted drawers, the perfect solution if you have limited storage in the master bedroom, or if you just love fashion. Best of all, decluttering the room you sleep in will allow it to look and feel larger making you feel instantly organised and less stressed. Having one large room can look a bit bare, so it’s essential to create clearly defined zones. Give each area personality using colour, lighting, different flooring, rugs and furniture. 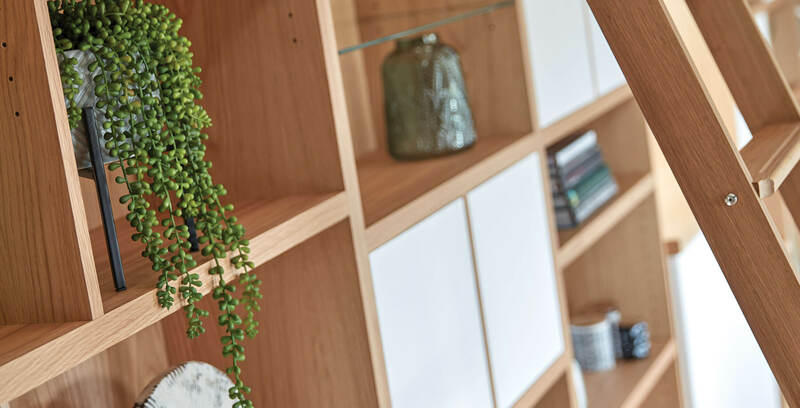 Bespoke furniture can be designed to partition areas of a room or create much needed extra storage bringing a whole new lease of life to your home. Whether you’re doing things together or individually an open plan space can be designed and tailored to your exact specifications. Even in the largest of living spaces, you can cleverly incorporate quiet reading zones, relaxed toy free areas, desk space and places to gather and watch films as a family. Don’t forget, design ideas such as Crittall room dividers or opening up windows can maximise the flow of light through large spaces, giving interest and depth to your open plan room. Want more ideas on how you can create the perfect open plan living space? Discover all of our bespoke furniture solutions here. Ready to get started? Why not book your free design consultation online today.